The truth be told, most consumers were a bit baffled when Apple launched the iPad 4th Generation less than a year after the release of the iPad 3, especially because this updated version really didn’t carry significant updates after all. When most were anticipating the iPad Mini release, the iPad 4 came out and brought with it minimal updates and improvements, unless you were comparing it to the iPad 2. Even though the iPad 3 came with the improved Retina display, the iPad 4th Generation also became known as the iPad with Retina Display. No matter which name you prefer, it doesn’t change the fact that the advancements in the screen display over the iPad 2 were relatively minimal and many decided that buying either the iPad 3 or iPad 4 just wasn’t worthwhile. Users will find larger app icons on-screen as compared to the app icons of iPhones, and there is a new dock at the bottom of the iPad 4 screen where users can hold up to six of their most commonly used apps for easier access. For all other apps, easy finger swiping still allows consumers to move through the options, and these can be grouped into folders for easier searching. The Retina display continues to please those who use the iPad for gaming and streaming videos. The upgraded processor makes this experience even better by helping to support the Retina display more effectively. The iPad 4 comes with an improved camera for video chatting, bringing in 1.2 MP HD quality. As with the gaming, the updated processor makes taking pictures and videos a more efficient task. The battery life of the iPad 4 is quite similar to that of the 3rd Generation, but it still appears to be sufficient for the typical uses of the device. The new A6X processor seems to be one of the core improvements of the iPad 4th Gen compared to the previous models. The iPad 4 also now sports an 8-pin Lightning dock which is up to 80% smaller than the previous 30-pin dock, and more durable as well. However, this means that older accessories from the iPad family will not work with the iPad 4 without investing in an adapter. There are not significant changes in the software for the iPad 4, as the only improvements appear to be regarding the speed of processing for the existing software applications. As a result, most iPad fans are left scratching their heads wondering why Apple decided to release a new iPad without providing meaningful software improvements. While the Apple iPad 4th Generation originally launched with choices of 16GB, 32GB, 64GB, and 128GB, they soon revised their production to only carry the 16GB model. Consumers who want greater GB capacity would have to look for refurbished models. The best online casinos for the iPad 1st, 2nd and 3rd generations are all quite different because the software for each of these Apple devices is quite unique. 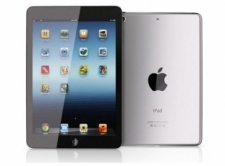 However the iPad 4 was almost a carbon copy of the iPad 3, so we here at MacCasino.net have concluded that the best online casinos for the 3 are also the best casinos for the 4. Here are our top picks for those looking to gamble on an iPad 4, broken down by geographic region. The best online casino for iPad 4 users living in the United States is the Bovada Casino, which is also our top pick for the iPad 3. Bovada were one of the few online casinos in the USA who were ready for a mobile device as powerful as the iPad 3, so they were therefore more than ready for the iPad 4, (which many claim is basically the same device, but we will save that debate for another time). 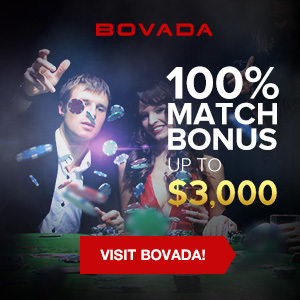 They offer great graphics and a ton of different mobile casino games, so Bovada are one of our favorite places to play online today. Over the last few years we here at MacCasino.net have become huge fans of the 32Red Casino, and we are proud to recommend them as the best online casino for iPad 4 owners living across the United Kingdom. 32Red have won us over with their amazing mobile casino software, great bonuses, and stellar customer service. We are always surprised at the number of Canadian gamblers who have never heard of the SportsInteraction Casino and given their awesome mobile games a try. They are one of the most vigilant online casinos in Canada when it comes to licensing mobile casino software, which obviously makes them one of the best online casinos no matter where you’re playing in Canada, from Victoria to St. John’s. They also offer great bonuses and promotions throughout the year.